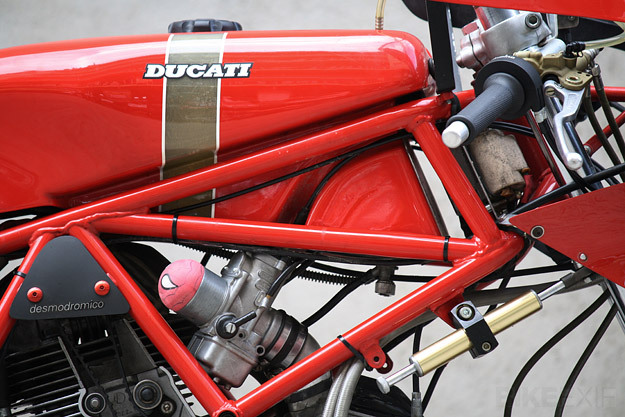 In 1981, Ducati unveiled a gorgeous racing twin based on the successful Pantah. 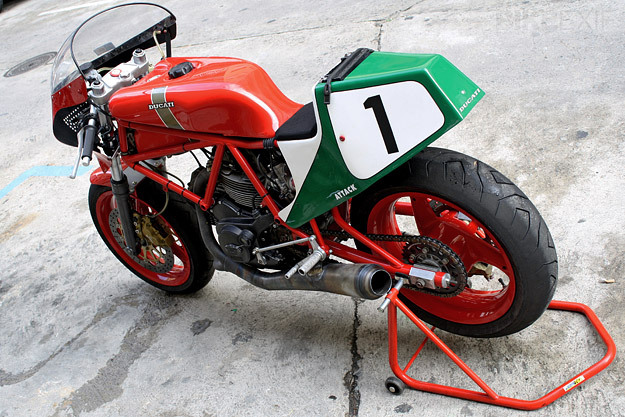 The TT2 used a Verlicchi-designed frame with a steel cantilever swing-arm, Marzocchi 35 mm forks and 18” magnesium wheels. The machine we’ve got here is even better: a thorough upgrade built for Spaniard Joan Antoni Fontquerni. 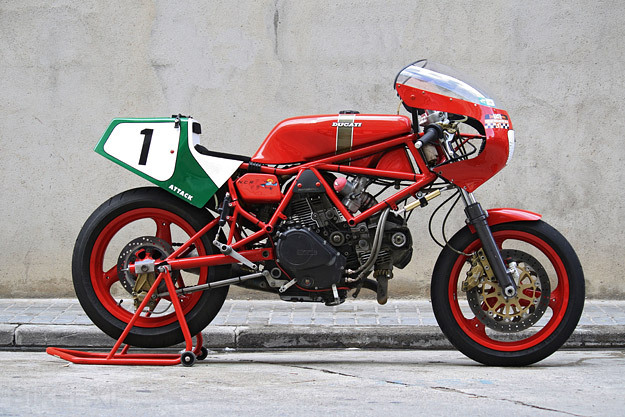 He’s transformed his ’82 model into a lean, sinewy racer with heart-stopping looks. 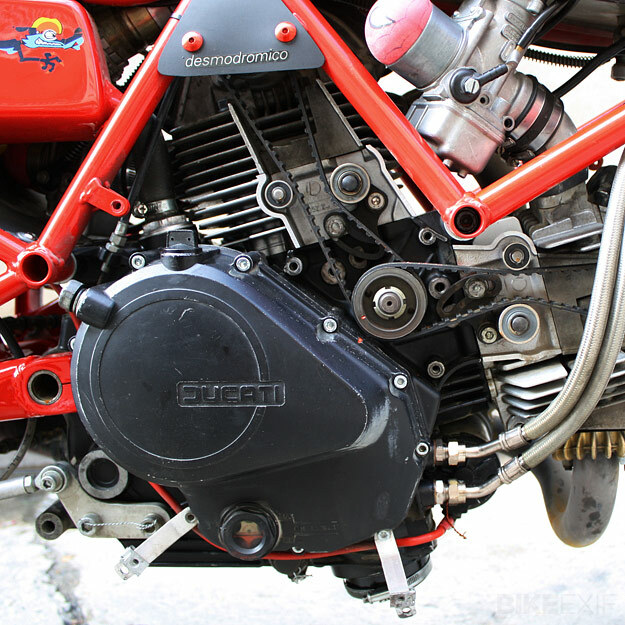 The forks have been swapped for beefier Marzocchi M1Rs, and the wheels are now 17”.Fontquerni has boosted the original 600cc motor to 750cc, with a new crankshaft, bigger cylinders and pistons. He’s also fitted a new exhaust system and intake manifolds, and upgraded the carburetion from Dell’Orto 36 to 40. The original output was 76 hp at 10,500 rpm, so I guess we’re looking at closer to 100 hp now. The machine only weighs 140 kg (a smidge over 300 lbs), so performance will be brisk. 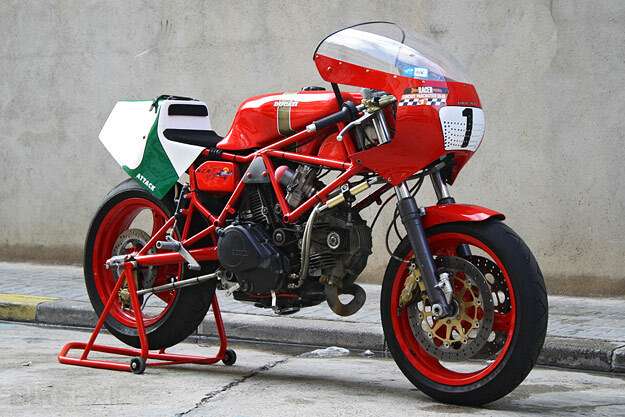 And if you’re lucky enough to live in sunny Spain, you’ll be able to see the machine in action on the track at classic race meets. I bet this one sounds very good indeed. Head over to our Facebook page for a full image gallery.